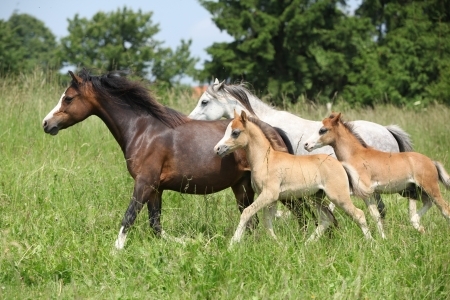 The Mares And Foals Running In A Pasture Wall Mural is a beautiful image of four different colored horses. Their manes fly in the wind as they trot freely through an open meadow of tall green grass. Choose your own size and material.